It wouldn’t be an Australian summer without prawns! Here are 5 delicious ways to dress them up. Who can resist the light flaky Japanese batter made with flour, baking soda and potato starch? Tempura is wonderful with pretty much anything, but our favourite has to be tempura prawns. Dip them into the batter, ensuring you let the excess run off and drop into hot oil until crispy. This classic curing technique from Peru gently cooks the soft delicate flesh of the prawn thanks to the acidity of the citrus juice… add in herbs and spices to suit and voilà, a delicious, healthy ceviche. Dumplings are one of the great culinary gifts from China and prawn meat is perfect inside the soft, pillow-like wrappings. We like to mince the prawns with a little vinegar, soy sauce, fresh chilli and chives. 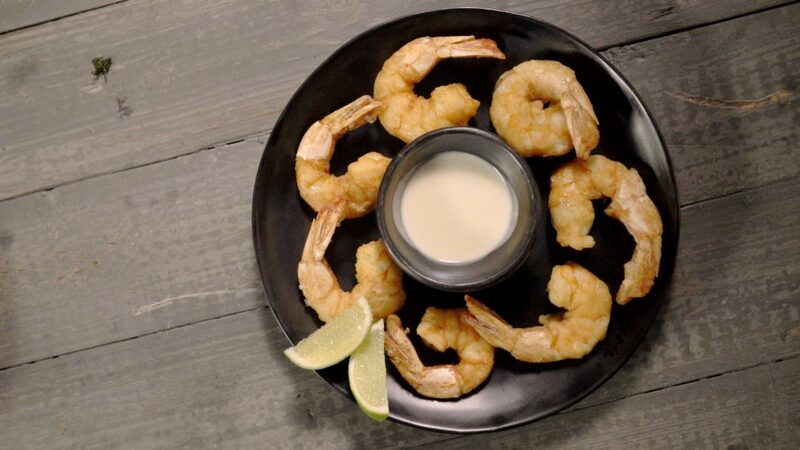 This is a simple technique that adds a lot of flavour to the humble prawn. Mix breadcrumbs, oil, diced chilli, zest of lemon rind and chopped parsley together before spooning generously on to splayed prawns before baking in the oven with top element on. The crunch from the breadcrumbs goes perfectly with he sweet delicate flesh of the prawn. If Australia was to claim a cooking style, this would be it… whole prawns grilled or barbecued. We like to spice them up a little with some finely chopped garlic, parsley and chilli to add a bit of a kick and some oil to help them cook evenly. Cook until the flesh turns from translucent to white and you’re good to go!